The Baptist Medical Centre in Nalerigu, Ghana is a 170+ bed hospital that offers full inpatient services. The hospital was founded in 1957 by Southern Baptist Foreign Mission Board (now IMB) missionary Dr. George Faile Sr. and for decades his son and Dr. Earl Hewitt led a medical team at the hospital. Drs. 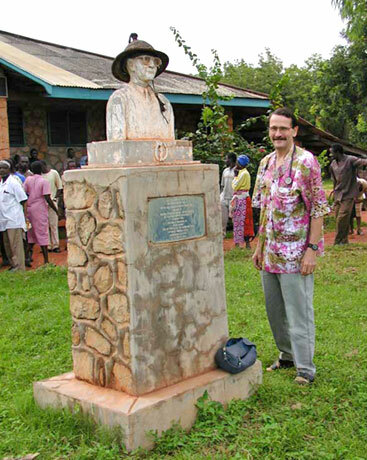 Faile and Hewitt have recently retired to the US and the hospital’s medical staff consists primarily of Ghanaian medical assistants, pharmacists, nurses, and mid-wives. There are currently four Ghanaian doctors on staff and volunteer doctors, residents, and medical students from the US rotate through on a regular basis. In recent years the statistics have been averaging as follows: 60,000 outpatient visits, 10,000 inpatients, 1,000 major operations, and 2,500 minor procedures. Quite a lot for such a small medical team! In addition, over forty Baptist churches have been planted as a direct result of the ministries associated with the Baptist Medical Centre. The hospital is now owned and operated by the Ghana Baptist Convention. However, it receives some financial support via donations through The George Faile Foundation. You can confidently make a secure, tax-deductible contribution through that US-based 501(c)(3) organization.